Oleksandr Klymenko: "Nowadays, we have a chance to breathe new life into charity in Ukraine" ⋆ News ⋆ Official website for Oleksandr Klymenko. “Nowadays as never before there is a chance to breathe new life into charity in Ukraine”, – wrote Oleksandr Klymenko – ex-minister of revenue and duties – on his official Facebook page in the context of the Government’s initiative to abolish the so-called tax charity. At the same time, the expert believes that it is necessary to abolish the tax for all types of benefactors, and not just for social activists, who help the military and IDPs from ATO area. Charity field in Ukraine requires a comprehensive resolving of problematic issues. Its list and the list of solutions were made by the Ministry of revenue and duties, together with charitable organizations at the end of 2013. “I am sure that during the next six months there will be a huge number of charities assistance to refugees and displaced persons from the East of Ukraine. The state must help them! However, in current economic situation, this aid will be negligible. The charity will be the second most important resource help (and perhaps the first)”, – says ex-minister, and notes that in this context he supports the Government’s initiative to abolish the so-called Charity tax at a rate of 17% (or more precisely, the tax on personal income in the form of non-repayable financial assistance, as well as the cost of goods, works and services, free of charge received by the taxpayer). Oleksandr Klymenko notes that the main thing is this promise should not be left as an empty declaration, or has not been implemented with complex bureaucratic procedures, which would be impossible to overcome by the benefactors. “All Ukraine and the whole world is ready to help the residents of the affected regions. The government needs to ensure that procedures and conditions for granting this aid are as simple and transparent as it is possible,” – said the expert. According to the ex-minister, the second, but not less important question is that charity, which has always been in Ukraine. Oleksandr Klymenko said that war has overshadowed plethora important issues. According to him, the focus of the information in media field has been shifted. Thus, the destinies of a large number of people have become less important than the daily summary of news from the Eastern regions. “The fate of the sick children and orphans, the fate of those, who need surgery, the fate of large families, who require care of benefactors. In all fairness: if you cancel the tax for charity, do it for all categories of benefactors, not just for social activists, who help the military and IDPs from ATO area, “- says ex-minister of Revenue and Duties of Ukraine. Nowadays, in his opinion, as never before there is a chance to breathe new life into charity in Ukraine. In order to this, it is necessary to use complex measures. Besides the resolving the situation with tax assistance to individuals, Oleksandr Klymenko believes that it is necessary to consider comprehensively the increasing of the minimum size of the tax-exempt charitable assistance to private companies, which provide charitable assistance to individuals and non-governmental organizations. Also, in his opinion, the issue of high tax burden on the SMS donations, improvement of the procedure of customs clearance of humanitarian assistance, and others require the solution. «At the end of 2013, the Ministry of revenue and duties, together with charitable organizations made a full list of problematic issues that require resolving, started to work out legislative modifications. Unfortunately, we have not had time to implement it. 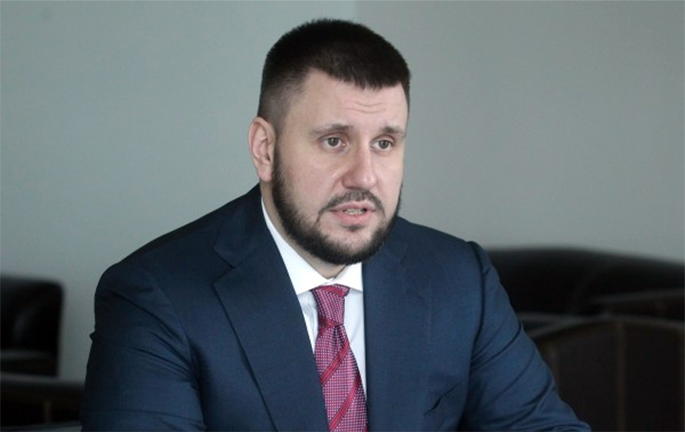 I hope that is this direction of tax reform will not be put in the “back burner” by new leadership of State Fiscal Service”, – says Oleksandr Klymenko. He concluded: «the abolition of tax for charity in ATO area – this is a step in the right direction, but the issue must be resolved comprehensively. When a society makes good deeds, the state should not interfere (at least)».